It is time to complete your Senior Profile. This information will appear in your senior memory book and the yearbook and will be used by NRCA’s College Admissions office. Your profile must be completed by March 22. We realize that you may still be waiting to hear from colleges and scholarships, but you must complete the profile ONLINE by the March 22 due date with whatever you know at this point. You will be able to update college and scholarship information to your profile on your first proof of your profile sometime toward the end of April. Tux and drape attire is provided by Strawbridge. Boys need to wear a white t-shirt and girls need to be wearing a cami. These photos are taken in the Fine Arts Center lobby. Students will be called down during the course of the morning for these photos to be taken. Seniors will not need their personal cap and gown for this photo. Strawbridge provides the caps and gowns for these photos. Girls need to wear a white cami/white shirt, guys need to wear a white dress shirt and tie/bowtie. 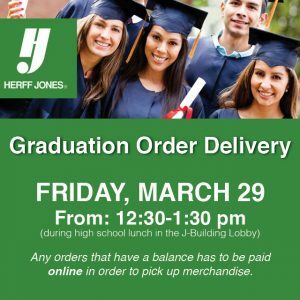 Students will wear their ordered cap and gown for this photo. Girls need to be in a white dress and white/beige shoes (no flip flops or tennis shoes). Boys need to be dressed in a white shirt, tie/bowtie and dark slacks with dress shoes. Students will need to bring their PRESSED gown, cap and tassel for this photo. Students will meet in the High School Gym after lunch to practice. Your senior will draw a number for the seating location at Richland Creek for graduation. Students need to be at school NO LATER than 2:30! A reception will follow given by the Junior Class Moms in the elementary gym. Senior Graduation Lunch will be after practice at 1:00 pm at NRCA in the Cafeteria. Students need to be dressed appropriately; they are still under handbook rules. Each senior will receive an Alumni Package. This package will include: Alumni Pass, Alumni little goodies and Senior Memory Book (1 for students, 1 for parents). Students will need to arrive at school NO LATER than 6:30! Each family will receive 10 reserved seats (seating arrangements are determined by a drawing at Baccalaureate practice). There will be overflow seating for handicap and additional guests. All seating is FREE and does not require tickets. A downloadable link to the recorded Baccalaureate and Commencement Services will be emailed to you sometime in the summer. Seniors will all be photographed at NRCA by Strawbridge Studios on September 4. This photo will be used for a composite that will be hung on the wall of the school which honors all NRCA Alumni. Students will wear a tuxedo or drape provided by Strawbridge. Senior portraits for purchase and for the yearbook may be taken at any photography studio. Students must be in school dress code for the portrait submitted to the yearbook. Portraits may be submitted to Suzanne Lyczkowski digitally at lyczkows@nrcaknights.com, or given to her on a CD or flash drive. 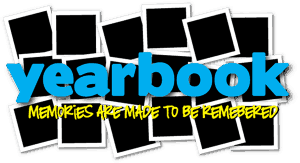 The deadline for submitting a portrait to the yearbook is November 1, 2018, or the student’s composite picture will be automatically used in the yearbook. Additional information will be given out at the senior parents information meeting at the beginning of the school year and also emailed to all senior parents in the fall. Yearbook Senior Recognition Ads Senior families are given the opportunity to purchase space in the back of the yearbook to honor their graduating senior. Prices range from $75-$400 and a variety of sizes and styles are available. Each senior family will receive information about purchasing this space during the senior parent information meeting at the beginning of the school year. Information will also be emailed to all senior parents in the fall.